make it perfect: .Pattern sizes. I've been thinking about Make It Perfect kids pattern sizes. Currently my kids patterns come in sizes 6 months - 5 years. From time to time I get requests from people to make the pattern sizes bigger and I'm trying to decide what to do about this. The best way for me to do this would be to release a second series of the pattern, with sizes 6 years - 9 years. I'm more than happy to explore this option further, but want to know what YOU want. 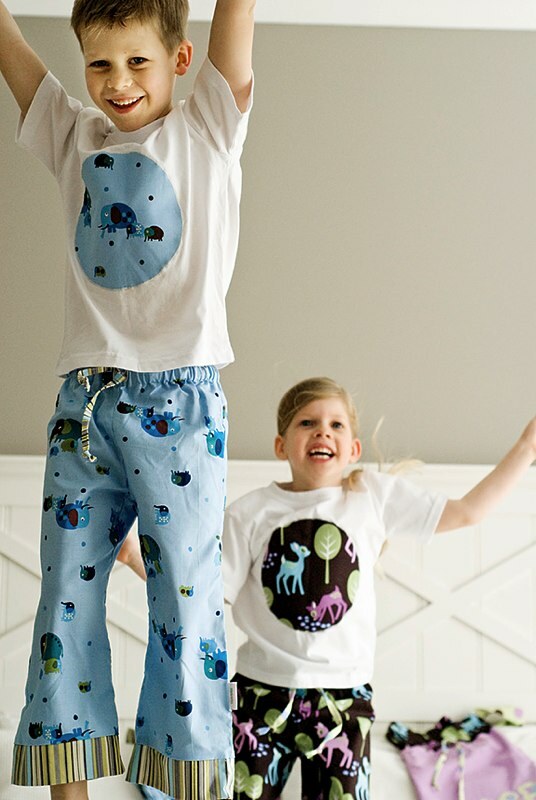 If I were to release larger sized kids patterns, what size would you like to see the patterns go up to and which patterns would you like to see in larger sizes? Leave a comment or send me an email if you have any feedback to share! Please, please Toni! With Maya turning 5 this year it would make me a very happy stitcher and pattern tester if you did this. I think you would have a lot of interest. 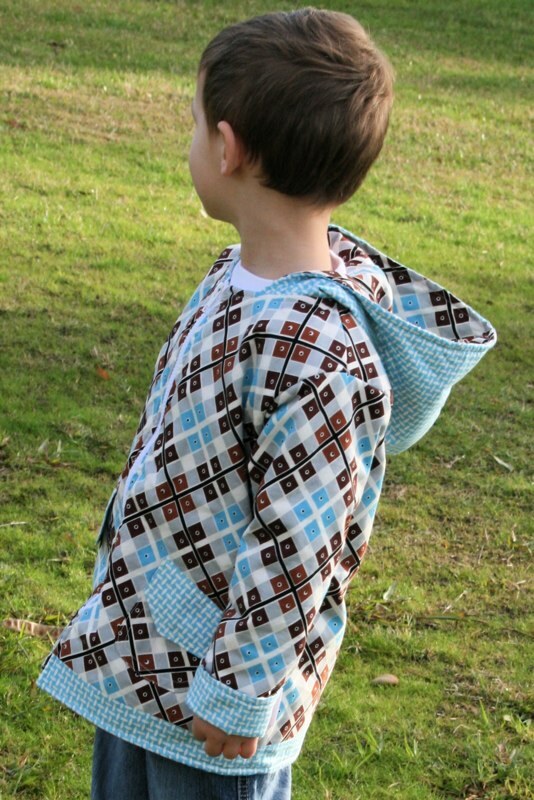 I would love use your jacket patterns in larger sizes! Even beyond 9 years would be ace. Double ace. Triple ace, even. Some "tween" patterns would be delightful. i think increasing some of your pattern sizes would be great, i have neices and nephews that I try and make b'day and chrissy pressies for but they are now getting older and find that i now have to go buy another brand pattern (which is hard to follow) instead. I think that to have some patterns like pjs and jackets in bigger sizes would be good .... however I think some items like pinnys etc, are sometimes suited to younger children so I think have some designs for younger children and some for older children and have your basic'staples' in multi sizes! I hope I'm making sense! YEAH i THINK THE JACKET IS A GOOD ONE TO UP SIZE!! EVEN ADULT SIZE! Up to about 10years I reckon. Oh yes, definitely Toni! I think up to about 10 years old would be great. 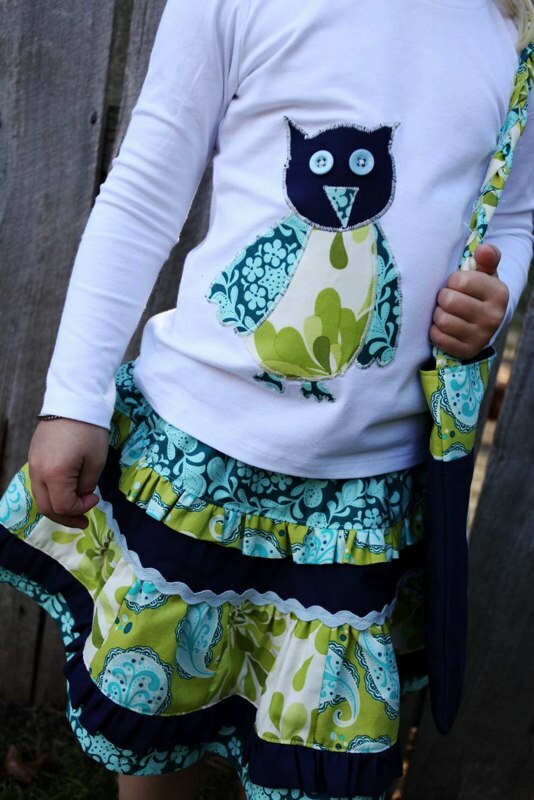 I would love to see larger sizes for Blossom skirt, Uptown girl, Downtown boy and Flipsy skirt. My DD is 4 but I am already making some clothes in size 5 for her so larger sizes would be awesome. And DS already misses out as I make sizes 7 for him for other patterns. Hmm, perhaps up to 8-10 years old for the larger sizes? funny to come over and read this post because I was just checking out your patterns to double check that they didn't go up to my daughters size (she's 7, with a long body and often wears an 8). Pj's and jackets would be great to upsize, tunics for girls (like bloom) to layer up, skirts...good luck! It would be great to see your patterns in bigger sizes. The downtown boy jacket. yes please bigger would rock! maybe take a cue from retailers like pumpkin patch that go up to size 12. tween patterns would be astoundingly wonderful! too much junk out there for my girls with awful skull logo's and trampy messages printed on the front. Yes definitely go bigger! Opens you up to a whole new market too! I'm thinking maybe up to size 10 cause after that (from what I've been told) kids tend to be a bit brand fussy, and maybe wearing Mums latest creation wouldn't be "cool"!!! Wth my super-tall kids I often find I have to make larger sizes in everything. One of them is into size 6-8 already (she's 4yo) so I would LOVE bigger sizes Toni. For me probably the Uptown girl jacket would be top priority -I can alter skirt lengths to fit - my girls are tall not wide - but there's more to be done to fit a jacket well. Up to 10 or even 12 would be great. Do adult pj's!!!! And a big sized uptown girl (so it fits me)... i LOVE LOVE LOVE that jacket!!!!!!!!!! One of each up to size 10 would be great. Some adult sizes (pj's and uptown girl jacket) would be fab also. Be careful what you wish for!!! Thanks for the help with my 8 years olds pj's will be posting them soon. I would love the PJ's in larger sizes please. With a four year old and a 7 year old I love using your patterns. My 4 year old is wearing a five now and about to outgrow this size. It would be great to have the Uptown Girl, Flirty Skirt, Blossom Skirt and the Lazy Day hats in larger sizes. Hope this helps. 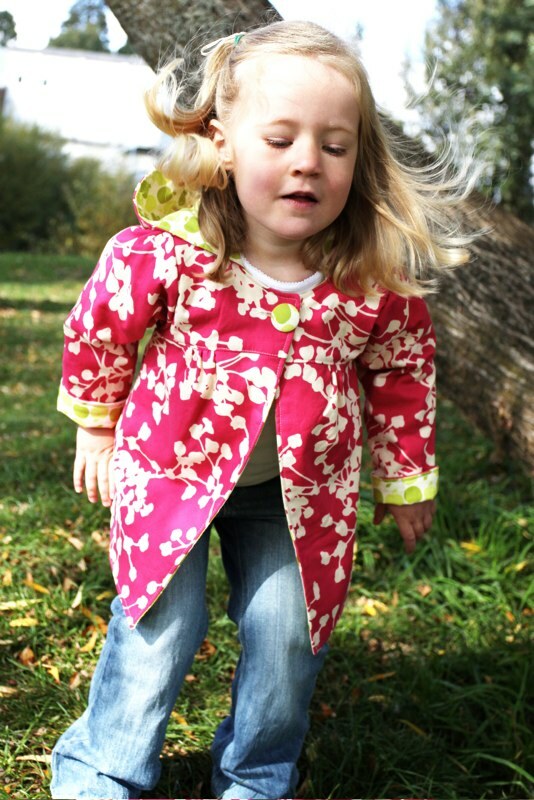 I love the girls jacket, my daughter is a size 6-7 and would love this pattern to fit her. It is so beautiful, and so much for fun for the kids when they have items that no on else has.